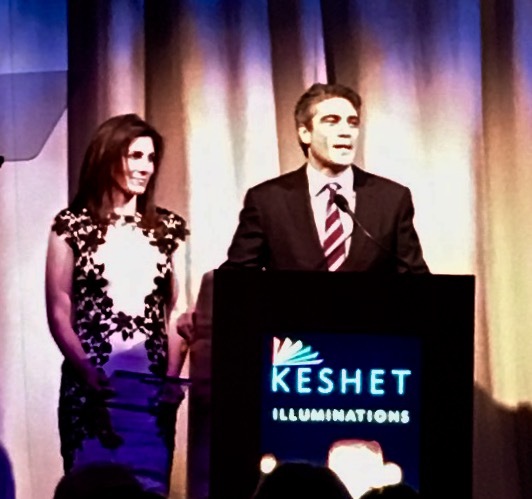 On March 19, NGE Partner Michael G. Kelber was presented with the 2017 Guardian of Hope Award by Keshet, a Chicago-area program providing core support programs to help integrate children and adults with intellectual challenges into their communities. Michael is co-chair of the Intellectual Property & Technology Transactions practice group at Neal Gerber Eisenberg. For over a dozen years Michael has been a dedicated member of Keshet’s Professional Leadership Board and its Board of Directors. His guidance and leadership have helped build Keshet and have allowed the organization to greatly expand its ability to serve more individuals with disabilities throughout the Chicago area. The Keshet organization presented the award to Michael in recognition of his years of leadership providing the participants of Keshet the tools and opportunities they need to achieve their true potential.